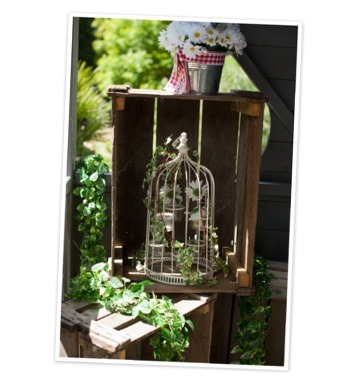 Our extensive decor collection and prop hire enables our clients the flexibility to explore their own creativity and with our guidance produce the perfect setting for any event., Props can make your venue even more magical by complementing your theme and providing an ambience for all your guests to enjoy. We offer Dry hire or our venue styling service, whatever you desire we can supply all the components to bring your imagination to life. To browse our hire items please click the 'Our Collection' or 'Previous Work' tabs for some inspiration. Prices are based on Dry hire. Delivery and venue styling service will be extra, please ask for a quotation. You are very welcome to visit our showroom or book a consultation to discuss your requirements. Drapes can transform any space into an exciting theme. 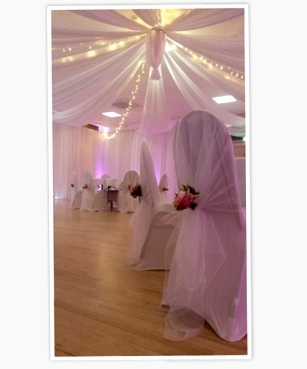 Village halls or club rooms can become spectacular venues using our tailored wall curtains or ceiling swags. why not add mood lighting using our up-lighters or fairy lights to add an extra touch. We can also create drapes in a colour to complement your theme or colour scheme and can create a backdrop to highlight your top table or band. Draping can also be used to divide larger spaces to create a more intimate space and then pulled back to let the party begin. Whether you have a village hall, gazebo or stately home we can help soften the area with our drapes. 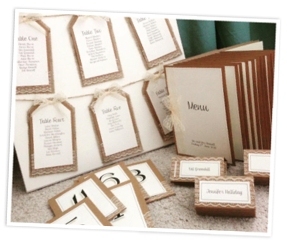 Bespoke stationery for any event, whether you are having a birthday, wedding or gala ball, we specialise in beautifully designed and exquisite handmade stationery. Offer a collection of custom designs to choose from as well as a bespoke design service, allowing you the flexibility to find something you love.